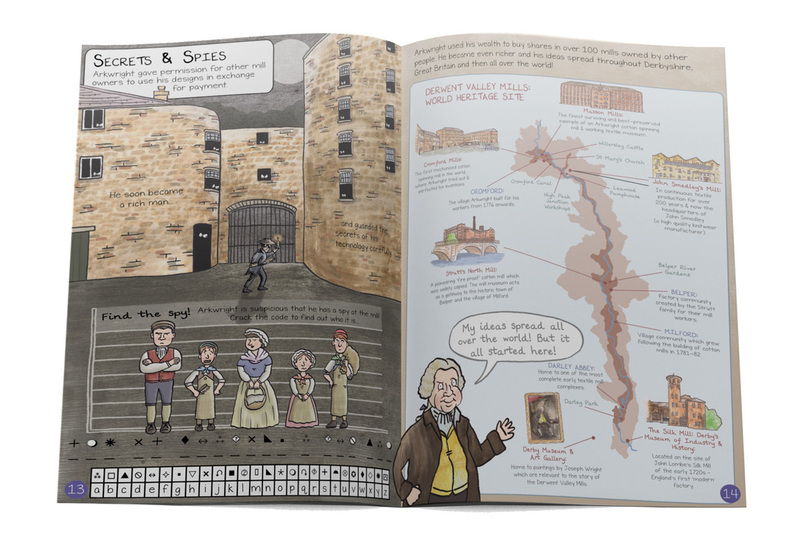 Children's illustrator and guidebook designer Emma Metcalfe was commissioned to write, design and illustrate a bespoke children's guidebook for Cromford Mills, part of the Derwent Valley Mills World Heritage Site. 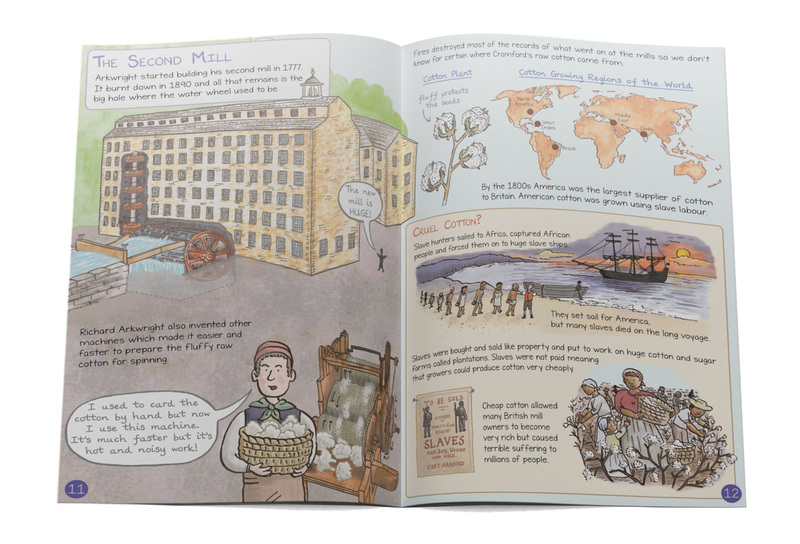 ​The Story of Cromford Mills ​is packed full of beautifully illustrated historical information about Cromford Mills' key role in the Industrial Revolution. 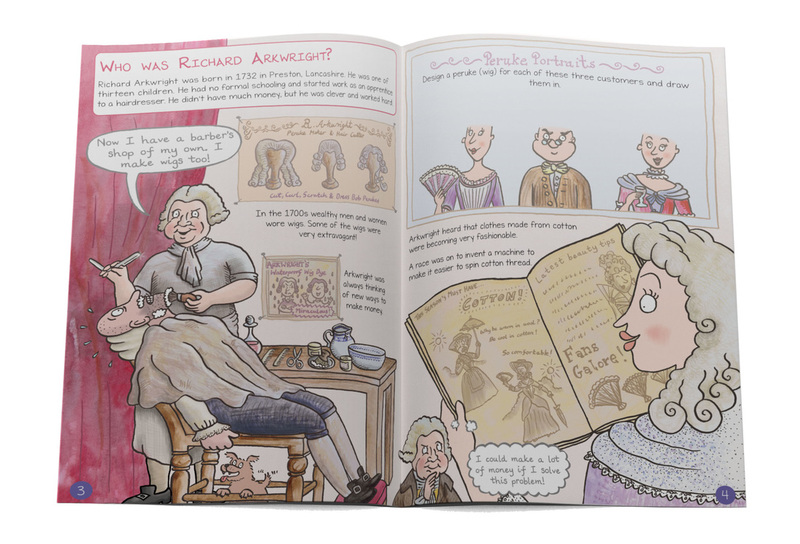 We meet Richard Arkwright and learn about his humble early life as a barber and wigmaker before his inventions made him extremely wealthy. 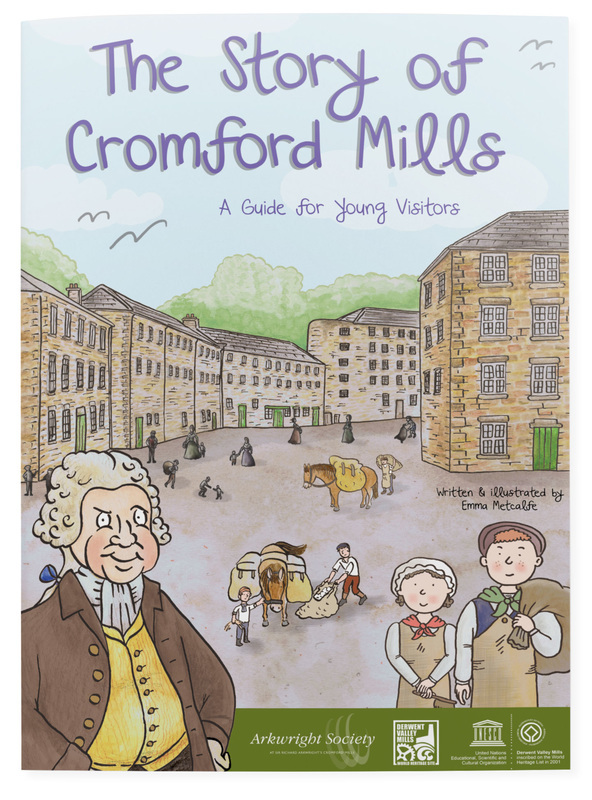 Very little of Cromford's original mill machinery has survived and many of its buildings are now have new uses (such as housing small businesses) so it can hard for visitors to get a sense of the mills in their heyday. 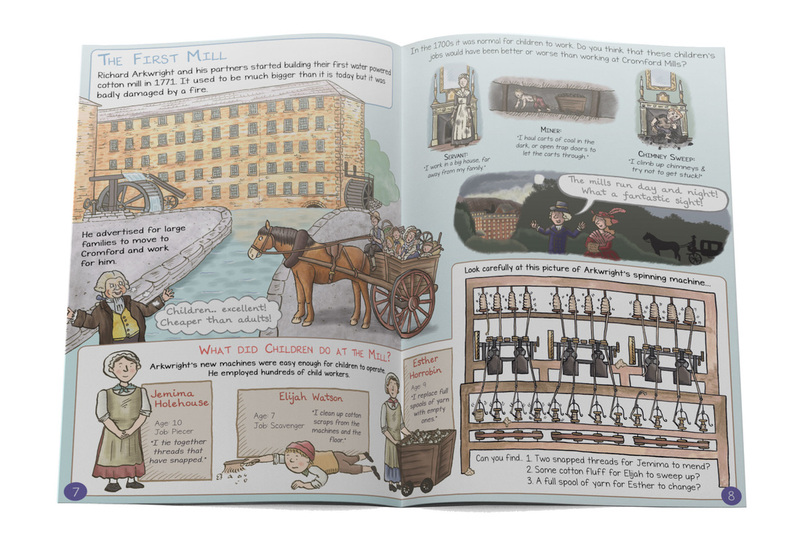 ​One of the main aims of the children's guidebook was to give a sense of what life was like for the many children working at the mill during the 18th and 19th centuries. 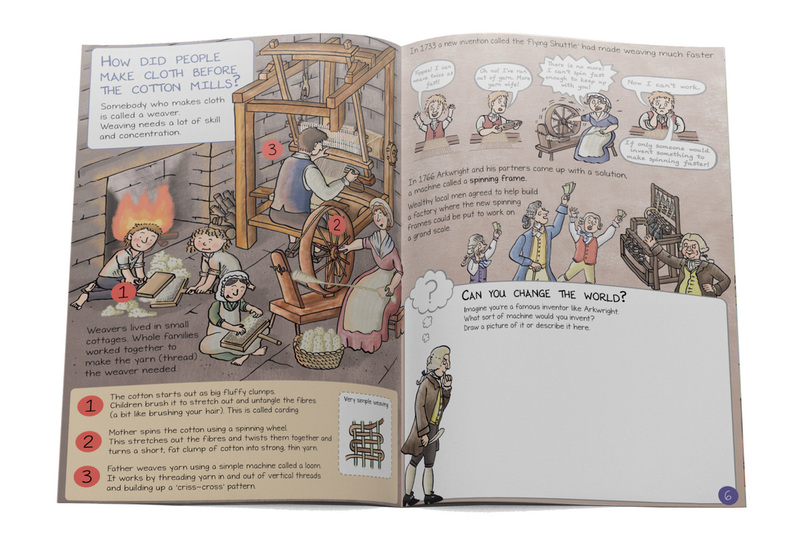 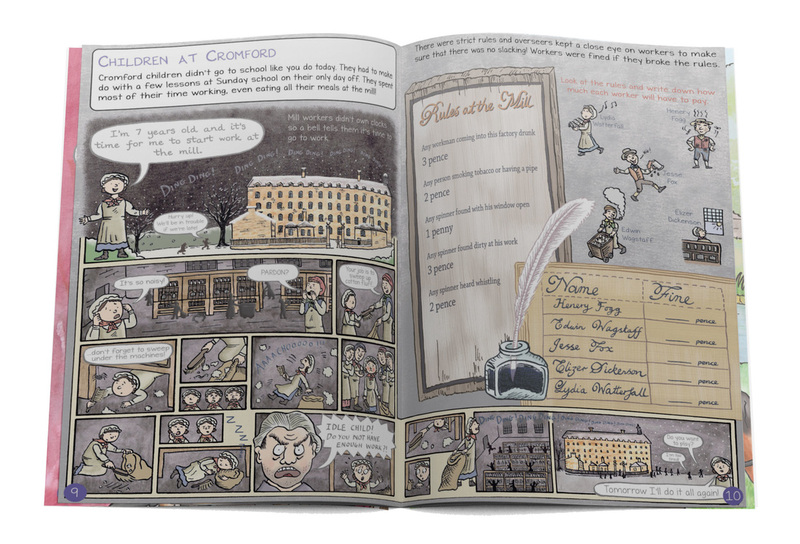 The book features a comic strip style illustration showing a day in the life of a little girl working at the mill and job descriptions for young mill workers. ​The book also contains a good selection of puzzles and activities which can be completed during your visit or when you get home, making it an ideal souvenir. 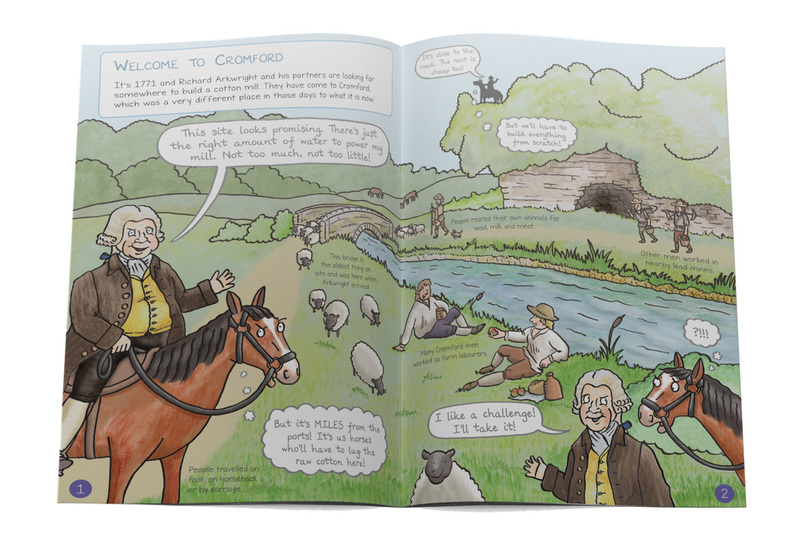 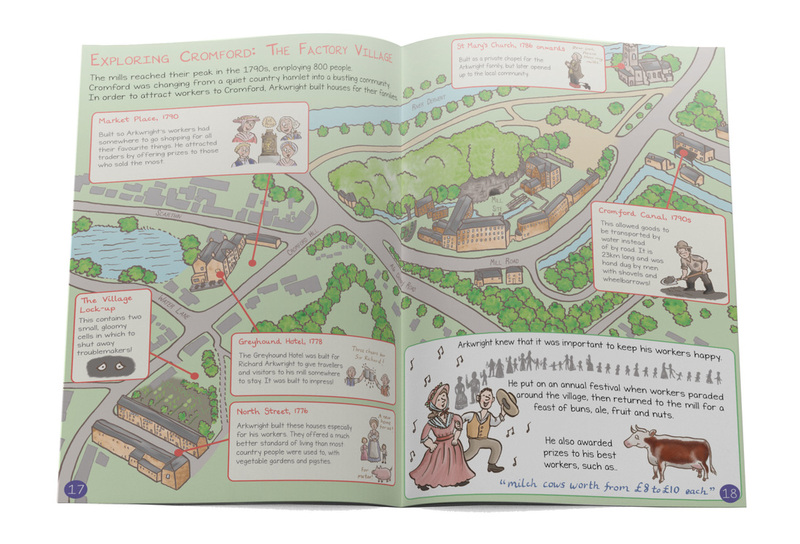 ​The Story of Cromford Mills ​is a 20 page children's guidebook which is approximately A5 in size. 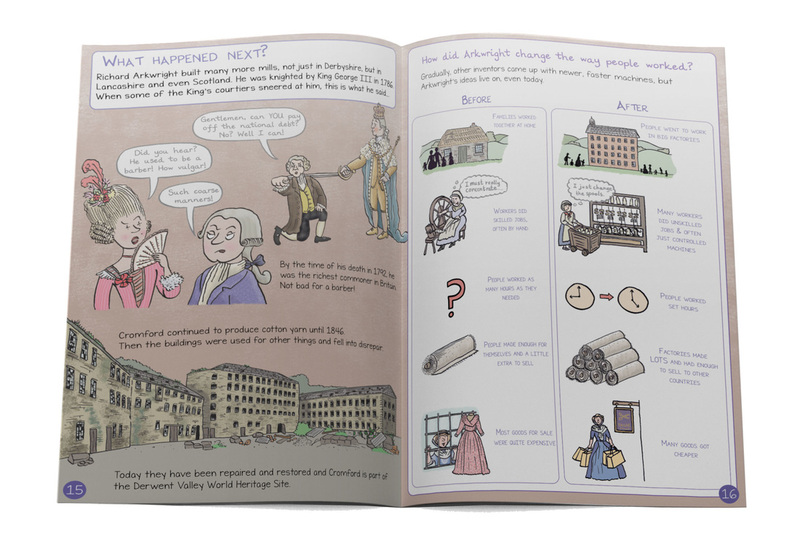 Spread 8: 'What Happened Next?